Known for making affordable handset without compromising built quality and performance, the Chinese top phone maker had managed to carve a niche for itself along with aggressive marketing. 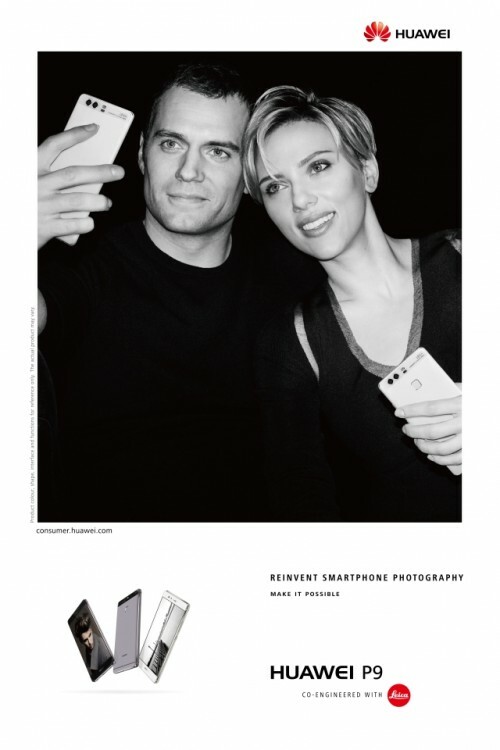 Who else but appointing Superman Henry Cavill and Avenger Scarlett Johansson as the official P9 spokesperson can make the P9 more prominent. 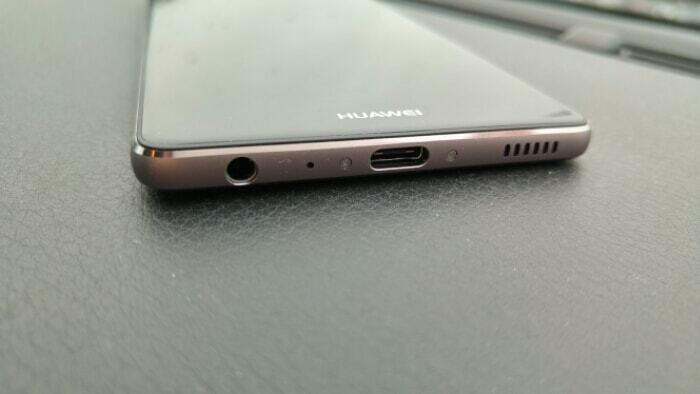 In order to convince techno geeks, Huawei knows they must produce a powerful device with unique features. 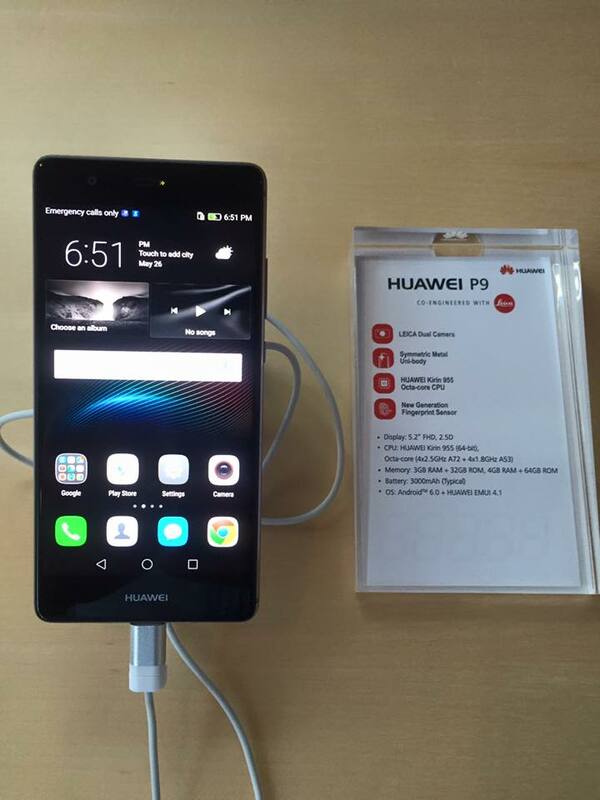 That`s why the P9 is equipped with the fastest processor Huawei has ever made, the most advanced fingerprint sensor and the most precise camera technology even the most scrutinise buyer will be impressed. To be able to fill in the last year tastefully designed P8 is a big challenge, let alone taking its design to a higher level. Being more compact than the larger Mate 8 also works in P9 favour. Especially considering the larger 3000mAh battery it can fit into a thin, all-metal frame. Although similar size as the iPhone 6S, it does not look exactly like one as the 5.2-inch display has more screen-to-body ratio than any other similar size smartphone, thanks to the thin bezel that almost seems like edge to edge on the front view. Another design language we saw here are the gentle curve on all corners with chamfered edges, and the back casing is made of aluminium and glass on the top. Even though the Nexus 6P is slim, it feels much larger and handles much awkwardly single-handly whereas the P9 mimics the same design as its predecessor with a narrower bezel around 5.2-inch LCD and a thinner frame at 6.95mm. 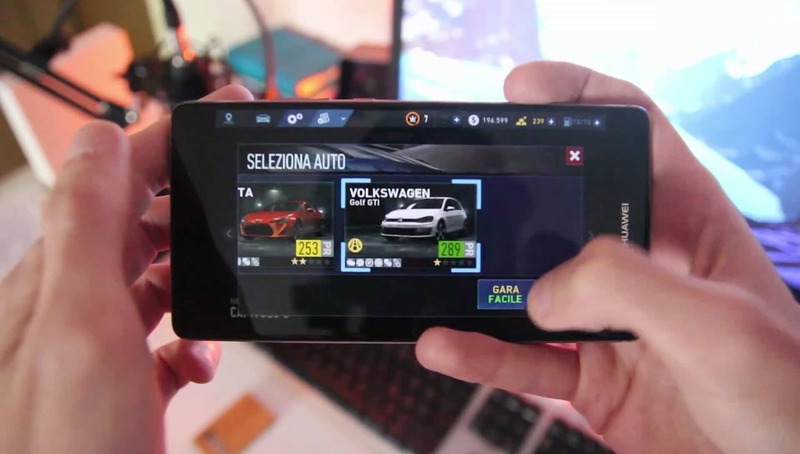 If you prefer a pocket-friendly device with a bigger screen, this would be the one for you. 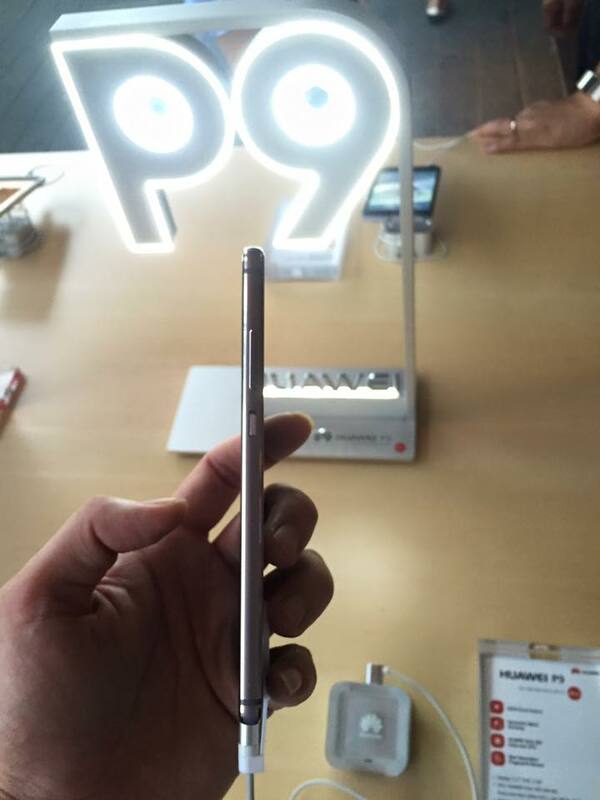 Be that as it may, the main feature highlight is the P9's unique fingerprint sensor at the back. It is without a doubt, the top of the line in the market. In addition to the fact that it is strategically positioned over those on iPhone or Samsung handsets, it's significantly more responsive than the LG G5's and situated in a recessed opening which is easily reachable for the finger. Besides security features, other options for the fingerprint sensor includes camera button whereby you can either use the on-screen button, volume down button or the rear fingerprint sensor for triggering the shutter. Setting it up is a breeze, not to mention by utilising NFC together, users can be better prepared for the future of Android Pay. In terms of performance, the Huawei P9 carry an in-house Kirin 955 SoC. It is the supercharged of Mate 8`s Kirin 950. The chip boasts an octa-core CPU configuration built from four Cortex-A72, clocked at 2.5GHz, and four Cortex-A53 cores clocked at 1.8GHz. The board also features a Mali-T880 MP4 GPU, which is by far the most powerful graphics card in a Huawei device to date. Depending on your requirement, there are two variant to choose from. One is the 32GB version with 3GB RAM; another version is the 64GB/4GB RAM. Both types consist of dual sim support plus the option of using sim two as micro sd slot. 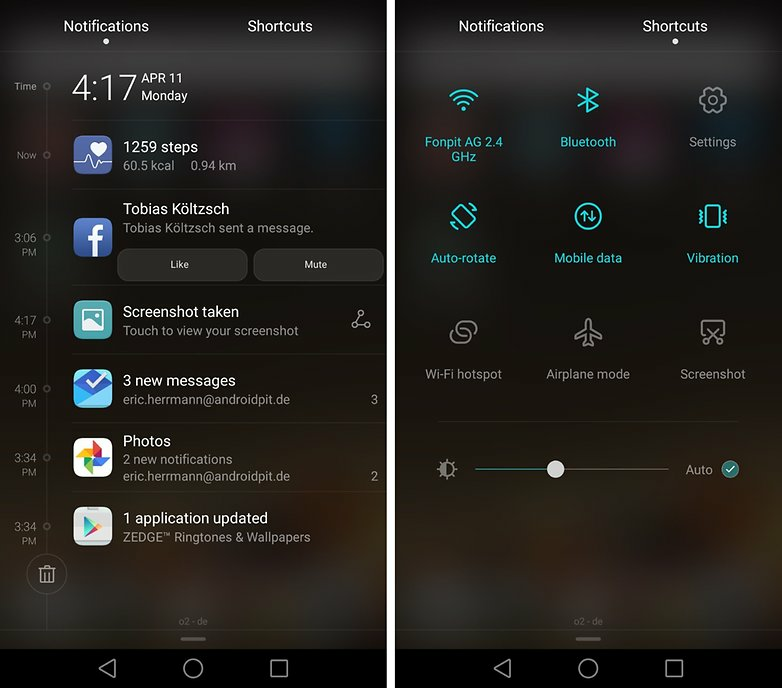 As for daily use, the device`s EMUI 4.1 on top of Marshmallow 6.0 is smooth flow without any stutter when running multiple apps. Gaming enthusiast will be pleased with the 3D rendering of the graphic card, even though the benchmark is slightly lower than the latest flagships with Snapdragon 820 or Exynos 8890 processors. Specifically designed for the business executive, the 3000mAh battery is an icing on the cake considering how slim and compact the phone is. With that being said, Huawei claims that the battery can last for slightly more than one day for heavy usage. As the test result shows, one could play graphic intensifying game for 3.5 hours or listen to music for more than 12 hours continuously without connecting to a power bank. Backed by USB Type-C port, the P9 allows full charge from zero to hundred percent within two and half hours. Owning to the fast charging capabilities within the cable output. Moreover, the Type-C cable can be plugged in on both sides compare to micro USB port which is more hassle as you need to align the same side as the notch. The only disadvantage of the Type-C i can think of is you can't share common charging cable with your peers meaning you need to bring along with you or buy a spare one. Much to do with the 2.5D glass alongside ultra thin bezel surrounding its 5.2-inch screen, the display stands out among other ocean of flagship smartphones. Although the resolution at 1920 X 1080 might not look impressive as the OLED display on spec sheet, its forte lies in the high saturation and contrast configuration of the IPS screen. This resulted in vivid & bright screen even under bright sunlight, as much as reading is concerned, it is not an issue. Viewing picture indoor is a treat, the screen resolution is fine-tuned to bring out more vibrant colour. To say the picture almost pop up from the screen is an understatement. Rounding up the display is the material use for the glass panel which is made of Gorilla Glass 4. 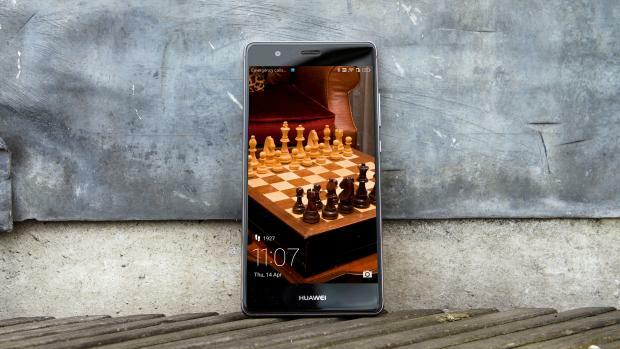 Huawei had claimed that it is two times harder to scratch than Gorilla Glass 3 used by other smartphone makers. 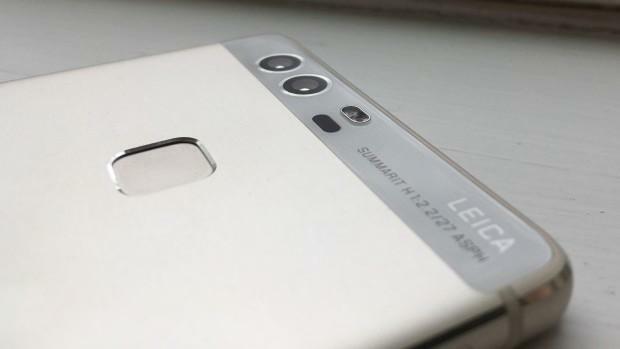 The talking point is mainly to focus on the camera setup of Huawei P9 in collaboration with legendary German camera and lens maker - Leica. By looking at the marketing effort made, Huawei has spare no expenses towards promoting Leica`s reputation on its flagship phone camera. 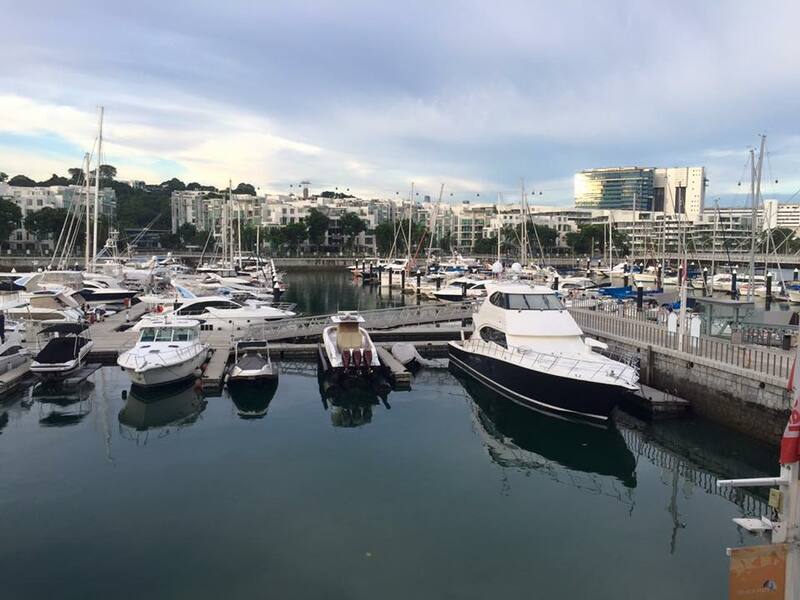 Although the P9 is not the first phone with dual lens system, the second lens setup on other makes pales in comparison when compare to the Leica offering. Here's the scoop; one with colour sensor and one with monochrome sensor when both 12-Megapixel sensors take photo at the same time, the image merges to form 300 percent more light and 50 percent better contrast than say, image taken by a conventional smartphone. To be able to test the camera ability, the best situation is to snap a few shots during low-light environment. We had come to known both lenses can absorb 300 percent more light, the result - it is on par with its closest rival; Samsung Galaxy S7 and S7 Edge. 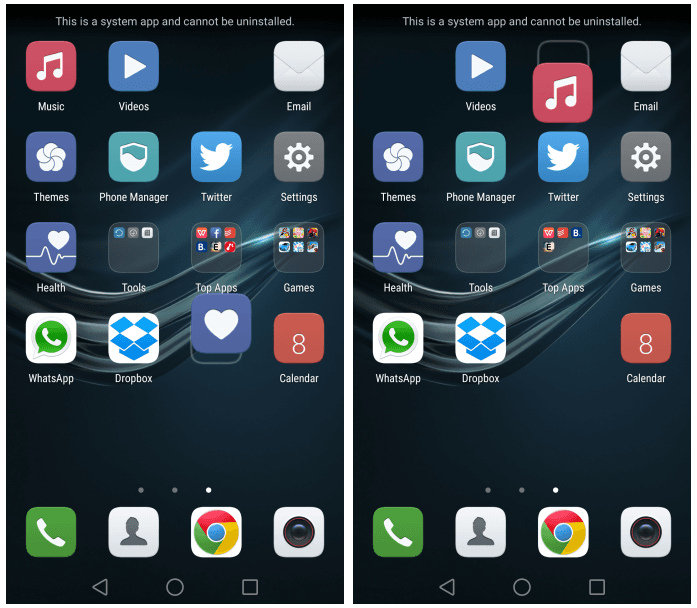 It`s in-house interface; EMUI is also much cleaner than the Huawei`s other series. Although it does not have any apps tray or stock Android layout, opening of apps and swiping through pages is fluid and remarkably snappy. 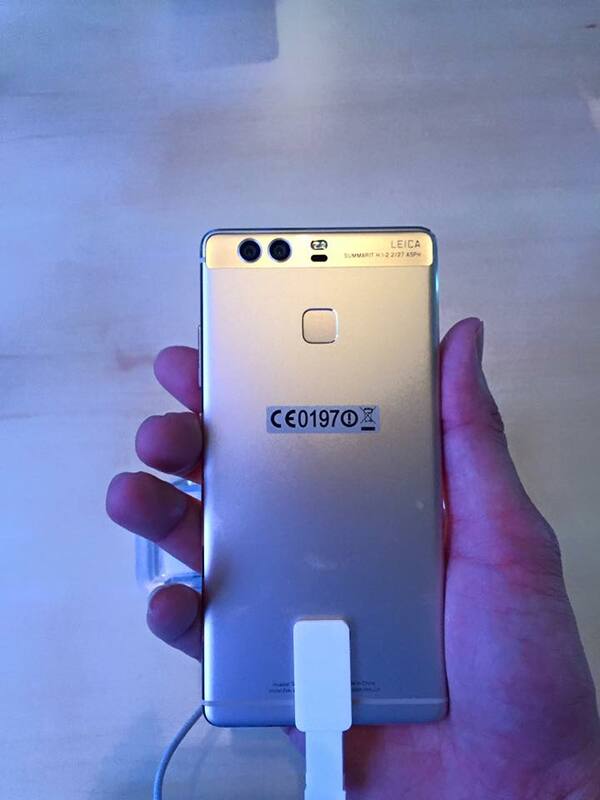 The Huawei P9 had begun making its way to the Asian market on May 28th. 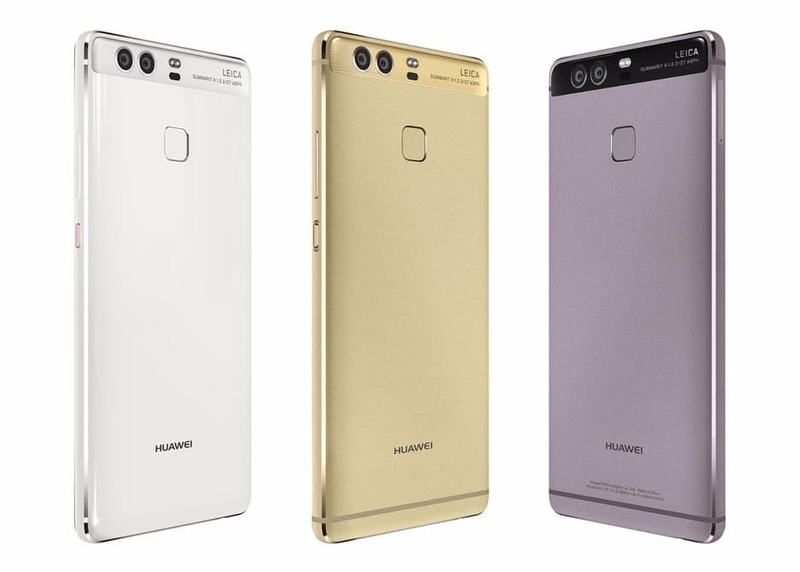 As for the pricing, the P9 3GB/32GB version in Prestige Gold, Titanium Grey and Mystic Silver will be available at S$768. if you can find Huawei P9 Price in Singapore lower than the RRP, then it is certainly worth considering.